The watermelon seed peeling machine produced by our company is directly supplied by our own factory,so the watermelon seed peeling machine has factory price,which will be your ideal machine for processing watermelon seed.And the watermelon seed peeling machine uses the latest wet shelling method, which greatly improves the efficiency of shelling and reduces the damage rate. 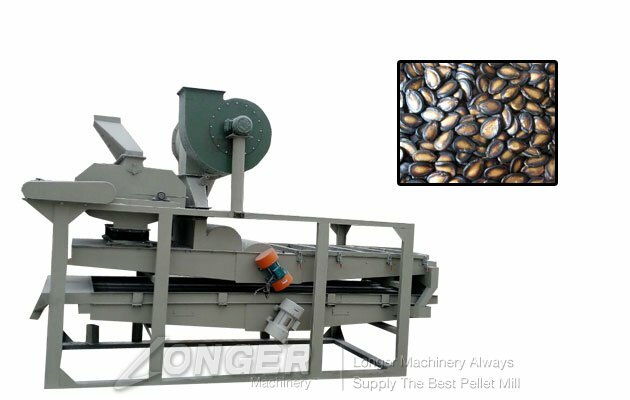 The watermelon seed peeling machine can complete the decontamination, shelling, dehulling, sorting and re-election of sunflower seeds in one time. 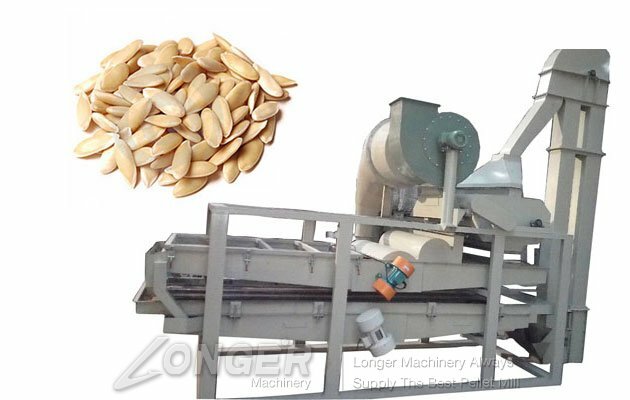 It is the first choice for the sunflower seed processing industry in the world. 1. Multifunctional cleaning machine can remove a variety of impurities (such as stones, glass, tweezers, hair, etc.) in raw materials such as large impurities, small impurities, light impurities, and shoulders. 2. The wind returning system returns the unshelled raw materials to the sheller and shells again. 3 The shelling machine adopts all-steel movement, and the blade adopts 99% high-aluminum porcelain, which enhances the shelling effect and service life. 4. The use of the screw unloader facilitates the collection of the watermelon shell and reduces the generation of dust. 5. 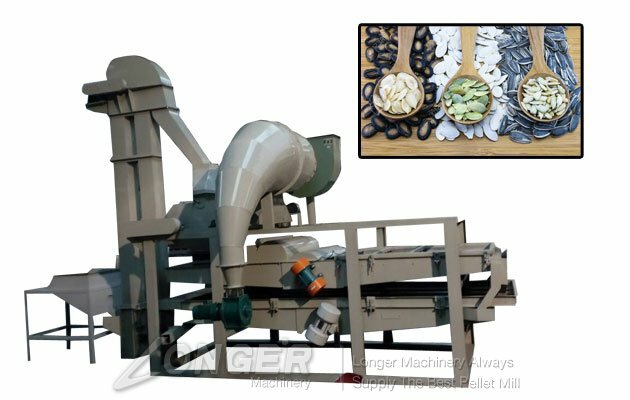 The application of the fish scale sieve can easily realize the separation of the seed kernel; the sieve piece is made of high-quality cold-rolled steel plate and is durable and durable. 6. The whole set of equipment is controlled centrally by the electric control cabinet, the operation is simple and intuitive, and the shelling machine adopts the frequency conversion design to adjust the frequency of the shelling machine according to the material condition at any time. 7. The vibration source of the whole set of equipment adopts the form of vibrating motor. The equipment is convenient and fast to install without foundation. 1. When operating the watermelon seed peeling machine, do not use wet hands to operate the machine, wipe the device with a damp cloth, the plug should not be placed in a damp place, and keep all electrical equipment dry. 2. Test the condition of the watermelon seed peeling machine before production every day, check whether it is working properly, avoid the card machine during food production, and affect the quality and output of the food. 3. 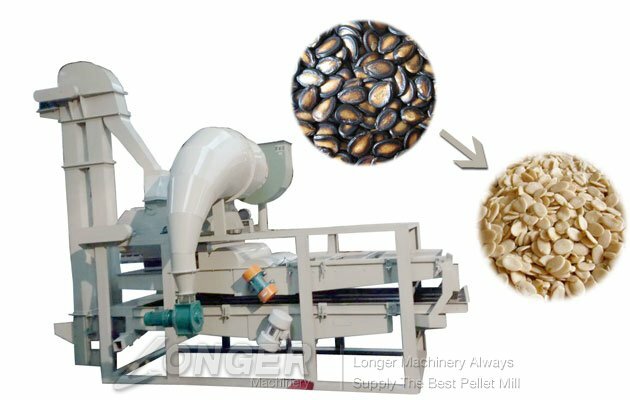 After the watermelon seed peeling machine is running every day, the body should be rinsed with water to remove residual residue or residue to ensure that the production environment and food quality are clean and clean during the next operation. 1. For any questions about this watermelon seed peeling machine, please feel free to contact me by phone, email, whatapp, Skype, wechat, etc. We provide services 24 hours a day. 2. Our engineers can guide you on the inhalation and other problems you encounter during use. 3. If you need to test the machine before ordering, you are welcome.